The client list of Vladimir Leveque, group planning director for advertising, marketing and media strategists Kirshenbaum Bond & Partners L.L.C., consists of such names as Panasonic, UNICEF, Mohegan Sun and Century 21. Previously, at Grey Worldwide, he helped Starwood Hotels launch the brand, W Hotels. He came on board as the first hotel opened and left five years later with the launch of the sixteenth property in Australia. 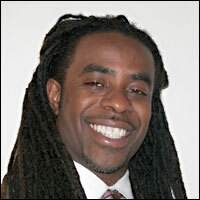 Leveque?s marketing, branding and media ingenuity, emerged early in his career at Uniworld Group Inc. There, he worked with Texaco Inc. at the height of its 1996 discrimination lawsuit, known as the ?Jelly Bean Scandal,? to improve relationships with the African-American and Hispanic communities. Perhaps it is Leveque?s motto, ?Forget being a good corporate citizen, just be a citizen,? that has catapulted him to prominence in his field. A graduate of Howard University with a B.A. in communications, Leveque has received numerous honors and recognition for his work. He is Kirshenbaum?s first African-American male group planning director and a four-time recipient of the ?Outstanding Kirshenbaum Bond & Partners Media Plan? award. Previous employer Young & Rubicam gave him the 1996 ?Young & Rubicam Media Plan of the Year? award for his work with Blockbuster Video. Leveque?s myriad talents range from comic book writing and illustration to theatrical copywriting. The latter includes his successful pitch of ?Back in Black? for the movie Men in Black II. He recently completed his first novel, I Used to Love H.E.R., loosely based on his experiences as a freelance hip-hop journalist for VIBE, The Source, KING, RIDES and BLAZE magazines, and is working on a second. The achievement is a ?personal accomplishment,? he says. Leveque holds himself in high esteem, for which he is unapologetic. ?Generally, when my confidence meets other peoples insecurities, bad things tend to happen?to them,? he says.